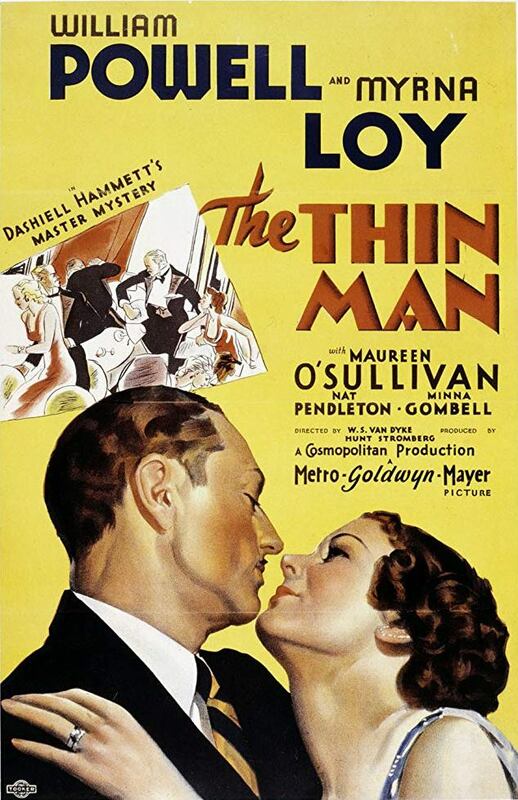 The Thin Man, released in 1934 and directed by W. S. Van Dyke, is a mystery-comedy film that follows the exploits of crime-solving couple Nick and Nora Charles as they seek to unravel a labyrinthine murder mystery. Released just as the Hays Code was coming into effect, the film displays some mildly racy humor that was erased from Hollywood films within the year. Few comedic film couples have ever had better chemistry on screen than William Powell and Myrna Loy as Nick and Nora. They exchange witty one-liners, flirting and teasing their way through one absurd situation after another, looking dashing and stylish all the while and drowning a never-ending stream of cocktails. A murder mystery has never been so charming. Join us on Tuesday, December 4, at 6:30 p.m., as we screen this comedic crime caper as part of the Third Floor Film Series at Greenville Public Library. Free popcorn, candy, and soft drinks will be provided, and David Nilsen will lead a brief discussion after the film. We hope to see you there.